Style and dressing also mean a lot to the men as same as women that's why they expend enough time in the market to pick the right dress for different occasions. Men's fashion wear also comes in a huge variety that will let them dress up as per the event or season. Men's Fashion clothing price in Pakistan depends on the design and material that will let you the right price for the purchased items. It is mainly classified as traditional clothing, western clothing, winter wear, innerwear, and sleepwear. The collection of Men's wear doesn't stop here at all and each variety further classifies to extend the option for men. Salwar kameez is the traditional dress of Pakistan that's why most of the Pakistani always add its huge variety at their wardrobe. Men prefer to wear salwar kameez on cultural occasions to represent the beauty of their tradition, therefore, they always purchase at least one salwar kameez on any occasion. It could be stitched or un-stitched but the style waistcoat with salwar kameez gives a modern touch to the personality of the wearer. Most of the men cover themselves with men shawl in the winter season with traditional salwar kameez to expose their divine persona in the cold weather. Men's fashion clothing prices in Pakistan also inspire you to purchase it and experience the ground reality of online shopping with a trustworthy store. It is another common dressing of Pakistani men which organizes as a t-shirt, shirts, jeans, polo shirt, suit, pants, sweatpants, trousers, cargos, shirts and many more. Casual western dress is totally different than a formal western dress that's why each chunk from men's western collection has its own importance. Men normally wear pants, shirts, and suits for a meeting while they prefer sweatpants, trousers, t-shirt, jeans for the regular western look. Men's fashion clothing price in Pakistan is different for each western clothing and helps an individual to make their purchasing decision. 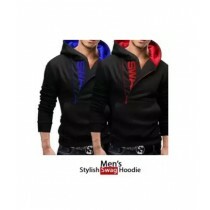 Men's winter wear also has vast demand in Pakistan which has been categorized as Hoodies, sweatshirts, sweaters, tracksuits, coats, and jackets. The pool of winter wear let the follow their style statement in the windy weather as well while men's fashion clothing price in Pakistan will not disappoint them at all. Each winter wear exposes the dashing look in a particular way that's why most of the men prefer to add collection from all these varieties to expose her best look in every gathering. Sleepwear and innerwear are usually produced by using soft fabric through which men always stay in their comfort zone. It could be nighty, vests, tops, socks, and underwear that could add the factor of comfy in the dashing look on an individual. Explore the latest and traditional men's wear at iShopping.pk as you can find a dress for every occasion from casual to formal and eastern to western. Now you can find office wear, sportswear, trendy suit, and also something classier for your bedtime at the one shop. Men's fashion clothing price in Pakistan is quite satisfactory at our online store then don't miss the amazing chance and purchase the right men's fashion wear at the right price.